You have entered an incorrect e-mail or password. 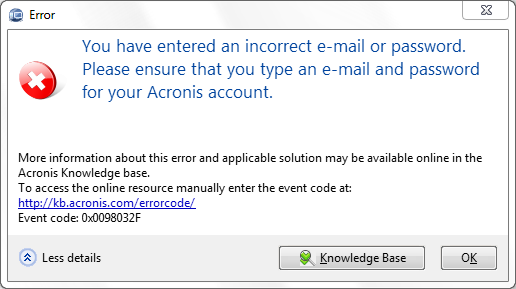 The e-mail address and password you have provided do not match with the Acronis database. (!) If you already have your account at the Acronis website, use the same credentials. 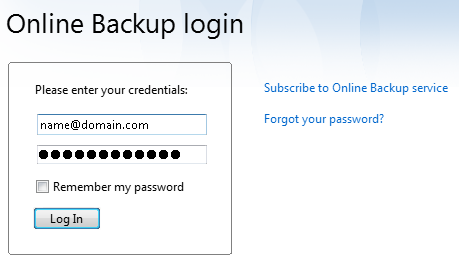 If you do not, click Subscribe to Online Backup service to create the account and subscribe to the service. See also Acronis Online Backup Subscription. 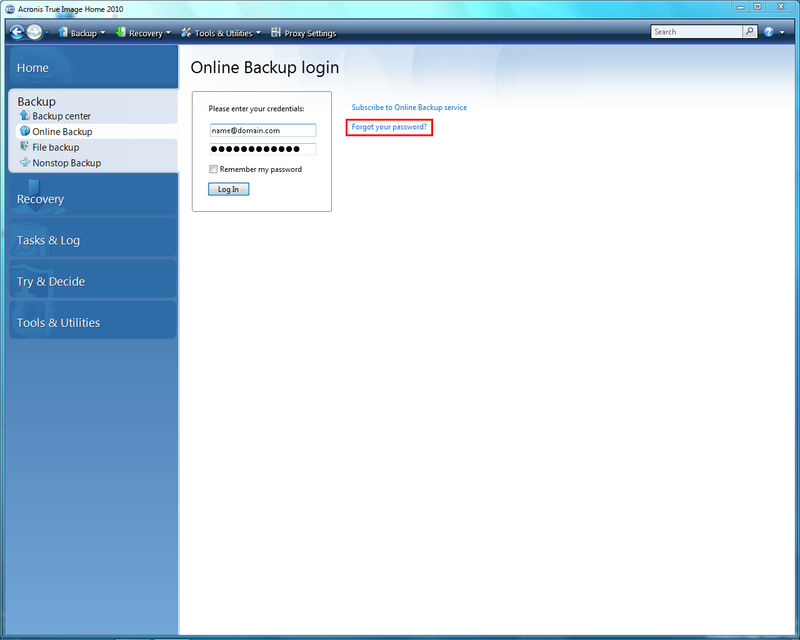 See also Acronis Online Backup in Acronis True Image Home 2010.